Marriage can be a blessing, but it can also break your heart—especially if you think you've reached the end of the road. There's no easy path to the decision to divorce, and the journey through uncoupling is different for everyone. If you're wondering if it's time to throw in the towel, you need to determine if your marriage is going through a rough patch or if your relationship is so toxic that it's truly time to end it. Only you know the answer to the question of whether you're better off staying married or getting a divorce. Sometimes a marriage is worth saving and sometimes it isn't. While there are many who believe that the only deal breaker in a marriage is physical abuse, others believe some marriages just shouldn't survive when there's serial infidelity and/or emotional or physical abuse. This type of unhealthy, incompatible marriage is likely unsalvageable and needs to end. 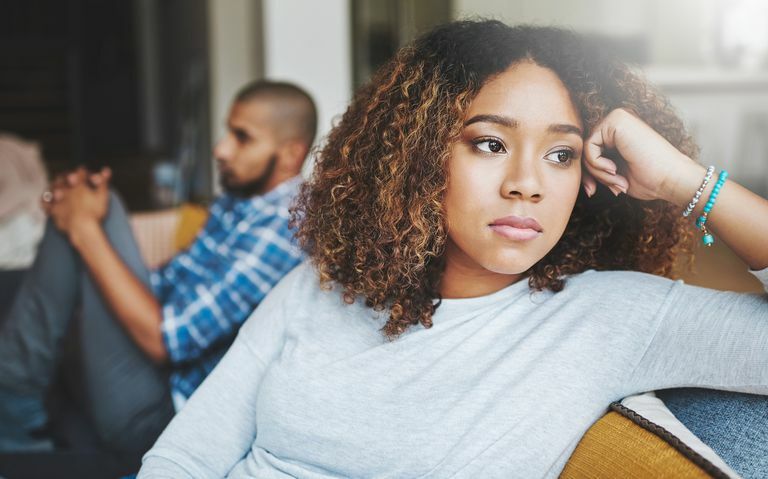 Although the reality is that divorce is hard, for many it's harder, more painful, and actually dangerous to live disconnected and disengaged emotionally from an abusive spouse. Indeed, the toll negative relationships take on physical health can be huge. Some research suggests that chronically negative or abusive relationships can even shorten your lifespan. It's a difficult and heavy choice to jump ship and end your marriage, but when you're fighting a losing battle or are feeling trapped and powerless in a marriage that could ultimately cause you harm, don't wait for a sign out of the blue to tell you to stay or to leave. When it's time to leave a bad relationship, chances are you'll know—you'll feel it in your gut. If you're still wavering, ask yourself what's still good about your marriage and what isn't. Listen to your inner voice and don't let a fear of the unknown keep you in a troubled marriage. Professional counseling can help you make it through this painful journey out of a dysfunctional relationship. Very controlling over money, friends, etc. Ronnie Tyler. "10 Reasons You Need to GET OUT of a Bad Marriage." Babble.com. 2013. Jill P. Weber, Ph.D. "Top 5 Reasons Why Divorce Is An Option." HuffingtonPost.com. 12/22/2014.